It is through photography that Gerald brings us into his world, his appreciation and respect of the First Nations culture reaches out to the viewer and enlightens them. 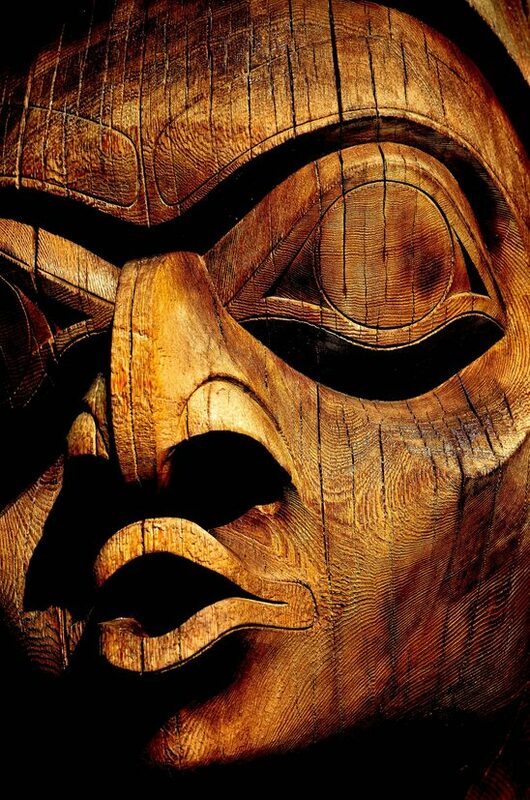 They awaken and become aware to what a Pacific Northwest Totem Pole is and what it means, a recent comment from one of Gerald’s admirers said “Since viewing several of Gerald’s images we became so much more aware of every Totem Pole during a vacation along the Sunshine Coast, "He opened our eyes”. The power of a picture can bring us many things and can take us on a journey of discovery, we often do not see what is there, in this case it is a culture deep in tradition, spiritualism and mythology. Gerald’s understanding and respect helps him draw out something powerful in his photography, it brings us images one would never think were there, and colors that were once washed out with time, are now refreshed and brilliant as if painted yesterday. The placement of natural light and shadows that linger or appear in a breath, these are his undeniable traits, and will no doubt be a recognizable style as his own. "Through photography I paint, through photography I see, through photography I understand."